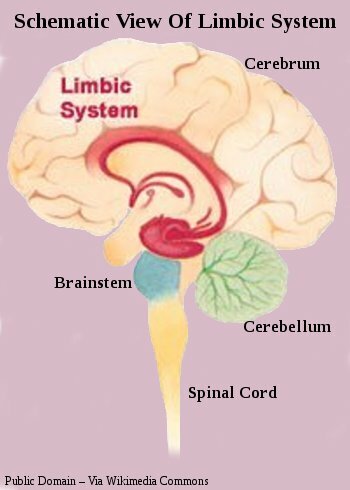 Our limbic System is involved in just about everything that defines us as both living creatures and individual Human Beings. Encircling the Brainstem, it is itself encompassed by the Cerebrum. Complicated, and intricate, it is possibly partly responsible for Humans displaying the same traits. That is, complicated and intricate. The term Limbic is a collective name for a cluster of important components (not that there is anything in the Brain that is not important) which we use to define ourselves as individuals. Sometimes referred to as the Midbrain﻿, due to it's location, it should not be confused with the Midbrain that is part of the Brainstem. As well as providing the stage for the Emotional State that we present to the World in daily life, simply meaning our moment by moment Mood and Attitude, the Limbic System enables us to be warm blooded and cuddly creatures. By regulating body temperature. Of perhaps just a touch more significance, working in Harmony with the Medulla Oblongata, this amazing system keeps us alive and ticking. Dutifully overseeing a host of involuntary functions few of us rarely give a second thought to. Demonstrating that size is not always relevant, the comparably small Hypothalamus shoulders a huge workload in fulfilling the role of being your body's Homeostasis executive. Regulating reproduction, sleep, thirst, emotions, temperature, and hunger. Additionally, this willing Organ also shares responsibility for administering several other involuntary functions. Including digestion, heartbeat, blood pressure, breathing, and sweating. The Hypothalamus executes it's many responsibilities via the Autonomic Nervous System, and the Hormones produced by the Pituitary Gland, the body's Master Gland, and distributing these Hormones via the Endocrine System. Fair dinkum!! Never again will I whine about having too much to do!! Illustrated above, the Thalami are the Body/Brain Communications Hub. Composed of Gray Matter, in the form of Nuclei, the Thalami are to be found located almost centrally in the base of both Hemispheres. The Thalami communicate with every Sensory System except for the Olfactory, (sense of smell) and have a web of connections to and from the Cerebral Cortex and many other Brain regions. Including the feisty Amygdala and Basal Ganglia. Like a super efficient receptionist in an active office, the Thalami accept all incoming signals (excluding Smell) from the Sensory Systems and redistributes these signals to the related region of the Cerebral Cortex, where voluntary action originates. Recent research links the Thalami to Consciousness. And there is good reason to speculate that these two influential Organs are implicated in Cognitive processing. 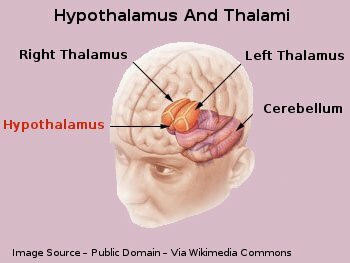 Thalami is plural for Thalamus. The Hippocampus, one in each Cerebral Hemisphere, form a portion of one the evolutionary earliest subsystems of the Brain, the Hippocampal Formation. 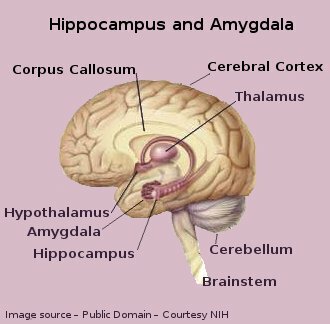 Composed of Cortical Tissue the Hippocampus is believed to be involved in factual and emotional memory production. And for the establishing of short term memories into long term to be stored in the Neocortex. Other functions are thought to be contributions to learning, and spacial navigation. Mine does not work too good in shopping centers. Without the Missus holding my hand, I easily get lost. While Deeply involved in Emotions, both the positive and negative, but particularly fear and aggression, the Amygdala also appears to play a role in emotionally charged memory retention. Supercharging memories with Emotion just happens to be the very best way to remember anything. It may also be our early warning system, alerting us to possible physical danger before it happens. The Amygdala is closely associated with the Olfactory System and like the Thalamus, it is well connected to the Cerebral Cortex and other Brain regions. 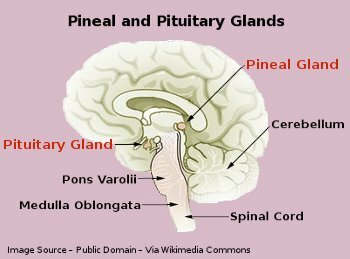 The Pineal Gland's primary role is the production of Melatonin, the Hormone involved in Circadian Rhythms (24 hr cycle) influencing our sleep/wake ratio. This tiny, essential organ has also been linked to the Reproduction Organs and the Immune System. The Pineal Gland, while no longer directly Photosensitive in Humans, as once believed to be, is still rather sensitive to light and works in close association with the Retina. To develop a machine to exhibit high performance, it is necessary to know and understand what all the components do, and their relationship to each other. Appreciating this understanding enables you to modify and refine. Adapt, edify, and ameliorate. Until you achieve the optimum Harmony between the parts, subsystems, systems, and finally, machine, for your desired purpose. Optimum Harmony equals optimum power, effectiveness, and efficiency. In the Human sense, this modifying and refining is the dominion of wise Personal Development. Influencing the Limbic System plays a major role.